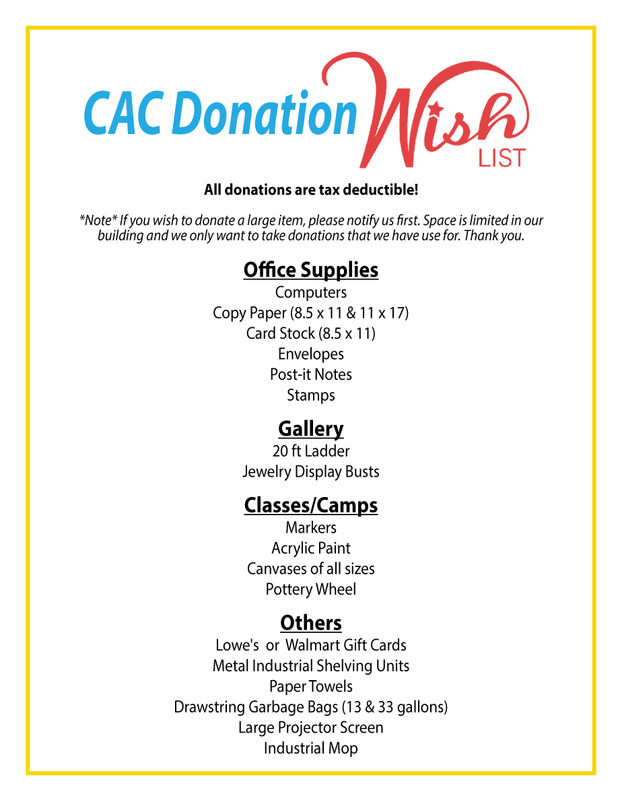 Thank you for your interest in donating items to the Columbus Arts Council. Below is a list of items that we use daily in our office and gallery, as well as items that we can use for our classes and camps. All donations are tax deductible.